Wear a blue ribbon to show your commitment to supporting kids and families! 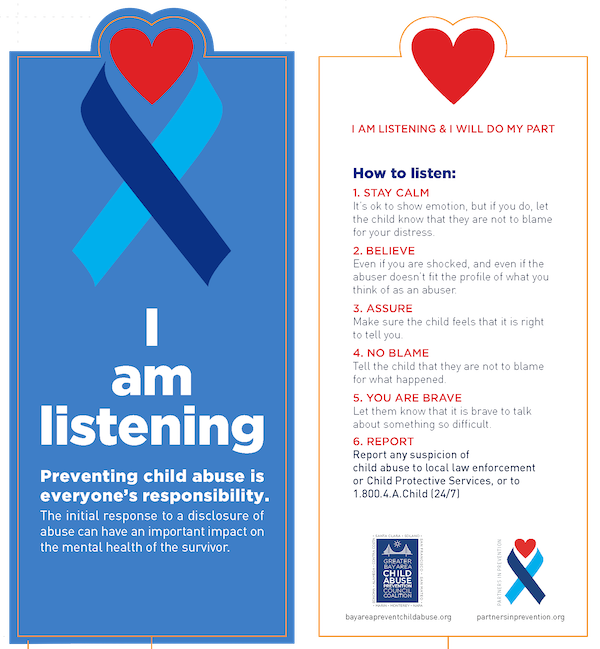 The Greater Bay Area Child Abuse Prevention Council Coalition's theme for 2019 is I AM LISTENING, because it's time to hear what victims have to say. Control expressions of shock or disbelief. A child needs to know that you are strong enough to hear what they have to say. Express your belief that the child is telling the truth. A child may have kept the abuse a secret in fear of not being believed. Acknowledge the child's courage and that they are not to blame for what happened. Don't speak negatively. The person harming the child may be a family member or someone they know or love. Let a child know what you will do next to help keep them safe. Report any suspicion of child abuse to local law enforcement or Child Protective Services, or to 1.800.4.A.CHILD (24/7). For over 30 years Child Abuse Prevention Councils have led the way in the effort to prevent child abuse and neglect in every county in California. 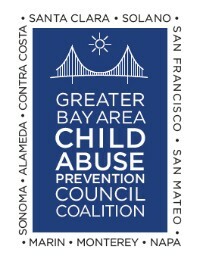 The Greater Bay Area Child Abuse Prevention Council Coalition represents ten counties coordinating resources, advocating for public policy, producing conferences, and sharing best practices. This tip sheet, Coping with Immigration & the Family, was produced by Sonoma County GBA CAPC member Child Parent Institute. It helps parents understand children’s reactions to the fear of separation due to immigration and provides some suggestions to help manage behaviors and emotions, for seeking community support, and for creating a family plan. See CPI's website at http://calparents.org for more great resources. This is a Spanish-language version of the tip sheet produced by Child Parent Institute. Read our letter regarding the Pennsylvania Child Abuse Investigations. Read our letter regarding separation of children at the border. Please contact us to receive educational materials for your events. It is important for mandated reporters to keep updated on periodic amendments to the law. Visit leginfoca.gov for updated information on the law and any other code section referenced in this material. 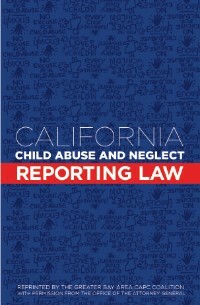 The California Child Abuse and Neglect Reporting Law is currently found in Penal Code (P.C.) Sections 11164 - 11174.3. The following is only a partial description of the law. Mandated reporters should become familiar with the detailed requirements as they are set forth in the Penal Code. Mandated Reporter pamphlet in Spanish. All parents experience stress from time to time. But parents can develop resilience to help them manage stressful situations and move themselves and their families toward healthy, positive outcomes. 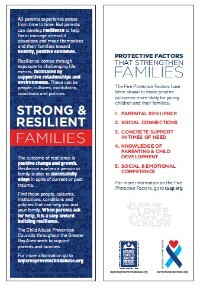 Resilience comes through exposure to challenging life events, facilitated by supportive relationships and environments. These can be people, cultures, institutions, conditions and policies. The outcome of resilience is positive change and growth. Resilience is when a person or family is able to successfully adapt in spite of current or past trauma. Find those people, cultures, institutions, conditions and policies that can help you and your family. When parents ask for help, it is a step toward building resilience. To Contact the Greater Bay Area Child Abuse Prevention Council Coalition, please call (707) 992-0834.